If your home or business first sustained flooding after the Addicks or Barker dam releases at 2 a.m. on August 28th, then there’s an important area of the law you need to be aware of called inverse condemnation. An inverse condemnation can occur when the government takes private property for a public use without any formal process or condemnation proceeding. A Texas property owner must demonstrate the government’s intentional actions resulted in property being taken, damaged, or destroyed for a public use. 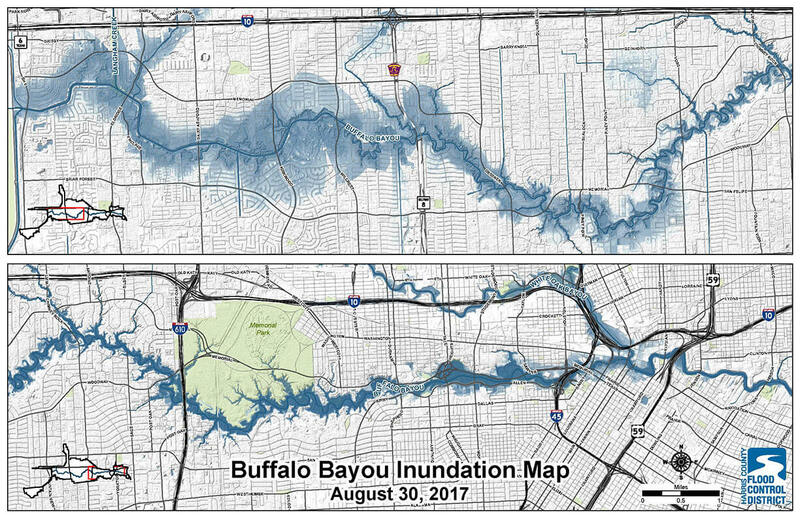 According to officials, the Hurricane Harvey controlled water releases were necessary to protect the integrity of the Addicks and Barker dams from the catastrophic damage that would occur in the event of an uncontrolled release as well as to preserve storage capacity in case additional water came down. Even if the dam release was done for a public purpose, the government must still compensate affected property owners. Inverse condemnation doesn’t mean the government acted improperly or illegally. Nor does it mean the dams were poorly engineered or were past their useful life. Affected owners may be able to maintain an inverse condemnation action due to the simple fact that the government flooded their homes for a valid public reason. When the government does damage to or takes land, it is legally required to pay just compensation to the property owner. In most circumstances, the government makes a determination that it needs to take land for a public purpose, such as building a highway, laying train tracks, or installing utility lines, and then initiates proceedings to take the land and compensate the owner. An inverse condemnation action arises when the process works backward. In these circumstances, the government takes the land first, and the property owner is forced to file a lawsuit in order to secure their rightful compensation. In order to maintain an inverse condemnation claim, a property owner does not need to have flood insurance – in fact, whether or not you have flood insurance doesn’t matter. Property owners without flood insurance should pursue an inverse condemnation action, as it may be the only legal recourse they have. If the Addicks and Barker dam releases damaged your property, you may be entitled to compensation for the costs to rebuild or repair your home or business. In addition, property owners impacted by toxic contamination or chemical explosions due to a hurricane-related dam release may also be entitled to compensation. If your home or business has been damaged or destroyed as a result of the Barker or Addicks dam releases following Hurricane Harvey, you may be entitled to compensation. In fact, if you own property damaged by the Hurricane Harvey dam releases, your best – and in some cases only option – to repair or replace your property will be an inverse condemnation action. We are available to provide more information about your legal options at no cost to our fellow Houstonians and other Texas residents.